This ERC, situated in the centre of Kroonstad, was established in 2005. 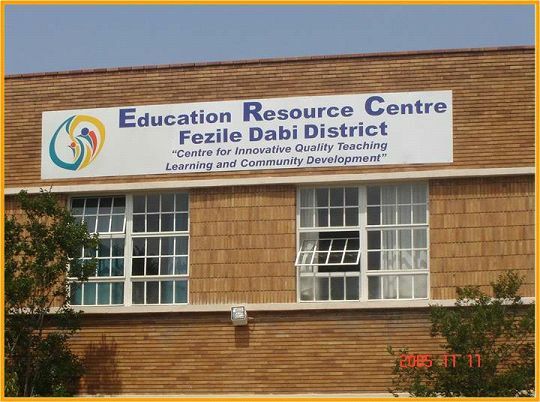 It is a support structure that provides various services to all schools in the Fezile Dabi District. Two satellite centres at Kgolagano (Viljoenskroon) and Retshedisitwe (Villiers) respectively serve as an extension of the resource centre.Committed staff members uphold Batho Pele principles, so the ERC is not confined to serving schools only. Its operations reach into the community to focus on improving the quality of their lives by capacitating them to face the challenges of an ever-changing world. A hall, two computer laboratories, a Biology and Science laboratory, a boardroom and training venues.